Explanation: The Very Large Telescope (VLT) Interferometric Array will be able to act as individual telescopes or as one huge telescope. Of the four planned VLTs in Chile, two have now reached completion. 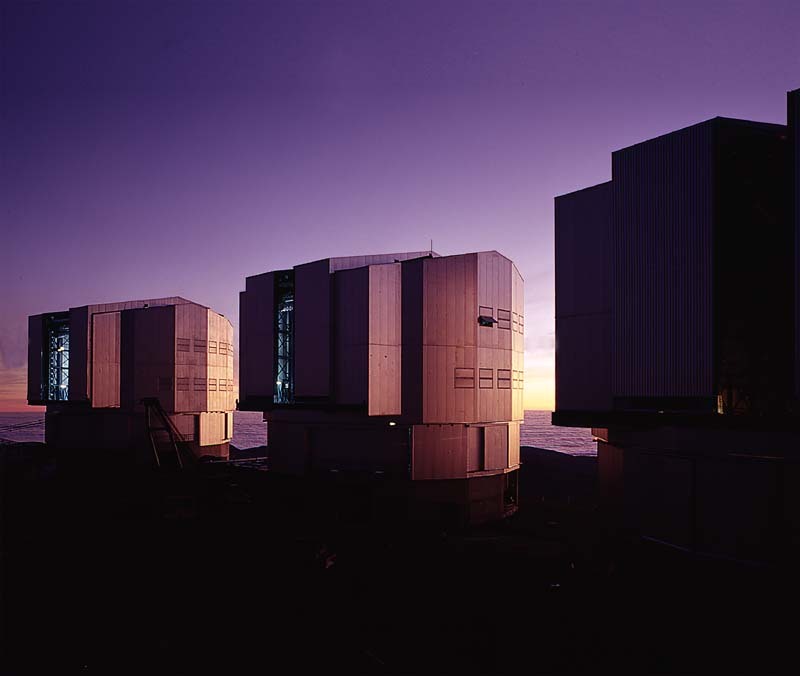 The first VLT to operate is visible on the left of the above photograph and was recently given the name Antu. To its right is Kueyen, which achieved its first observations just last week. 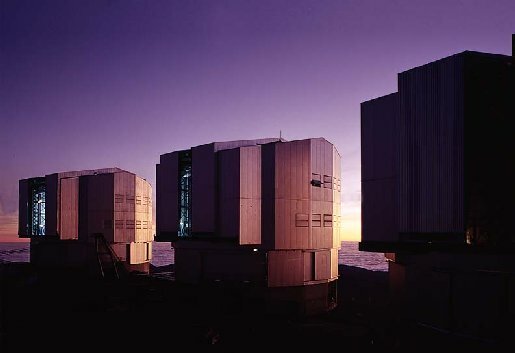 Each VLT telescope by itself is now one of the largest optical telescopes in the world, joining the new cadre of large telescopes with mirrors greater than 8-meters in diameter. After Melipal and Yepun are completed in the next few years, the four VLTs will be able to combine their light to achieve the sensitivity of a single 16-meter telescope, and the resolution of a single 200-meter telescope. Over the next few years, the VLT telescopes will explore the universe in unprecedented detail, searching for everything from ordinary planets orbiting nearby stars to extraordinary explosions in the distant universe.